Hells Canyon Long Range Shoot! The Perfect Tune-Up For Hunting Season! Hells Canyon Long Range Shoot is gearing up to be an exciting event! Vortex Scopes are our top prizes for both the Big Game and small Game events. Continental breakfast Saturday Morning and a BBQ dinner Saturday night. 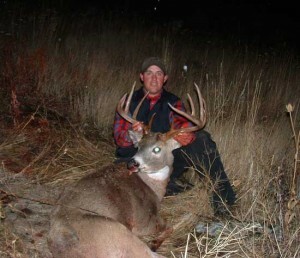 This White Bird, Idaho event is being hosted by Killgore Adventures and Sportsmans Challenge. The date of this annual event is Memorial Weekend, September 1st and 2nd, 2012. Online registration is available at www.SportsmansChallenge.weebly.com. Rules and regulations are also available on that Sportsmans Challenge website for the big game event as well as the small game event. This is an exciting event in that we have a few CHAMPION long range shooters who will participate in the shoot as well as many novice shooters. Sunday September 2nd will be the FUN DAY SHOOT where folks can practice their shooting skills with varied target distances. Lodging is available at Killgore Adventures for RV Parking, Tent Camping and Motel accommodations on the Salmon River, just 2 miles from the long range shooting event. Call us at 800 469 8757 for additional information or reservations.